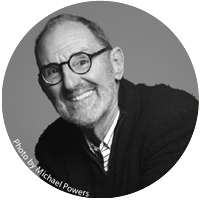 Thom Mayne is founding principal of Morphosis, a global architecture firm engaged in architecture, urban planning, and research since 1972. Based in Los Angeles, New York, and Shanghai with projects world-wide, Morphosis’ work represents a wide variety of scales and typologies, from civic projects, schools, and museums to commercial towers and city planning. Under Mayne, Morphosis’ X-Tech group pursues technology and fabrication research, working with industry partners to arrive at new solutions for constructability and performance. In partnership with UCLA where he is a Distinguished Professor since 1993, Mayne also leads The Now Institute, a graduate studio dedicated to applying design thinking to real-world issues facing cities today. Mayne's distinguished honors include the Pritzker Prize (2005) and the American Institute of Architects Gold Medal (2013). He served on the President's Committee on the Arts and Humanities under President Obama, between 2009-2016. With Morphosis, Thom Mayne has been the recipient of 29 Progressive Architecture Awards, over 100 American Institute of Architecture Awards and numerous other design recognitions. Morphosis works have been published extensively. The firm has been the subject of numerous exhibitions and over 33 monographs. DOMINIQUE JAKOB is a partner of JAKOB+MACFARLANE ARCHITECTS, which she founded with BRENDAN MACFARLANE in 1998. She received a bachelor degree in Art History from the University of Paris I in 1990 and graduated from the Architectural School of Paris-Villemin in 1991. 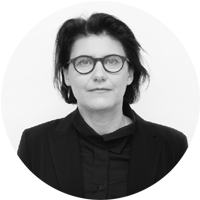 She has taught at the Ecole Speciale of Architecture in 1999-2000 and at both Architectural School of Paris Villemin and Malaquais from 1994 to 2004. She has been a visiting teacher at Sci-Arc in Spring 2018. She became a permanent member of the French Architecture Academy in 2016. She regularly participates in international lectures and international architecture juries. Dominique was offered the Officer Insignia award for services to Arts and Letters by the French Ministry of Culture in 2011. Principal projects include Restaurant Georges at Pompidou Center, Paris (2000), Loewy Bookshop in 2001, Communication Center for Renault (2004), the Ricard Art Foundation (2007), the Hérold 100 apartments in Paris (2008), The Orange Cube in Lyon (2010), the Frac Centre (Contemporary Art and Architecture Regional Fund) in Orléans (2013), the Docks of Paris – City of Fashion and Design (2012) and the Euronews TV world headquarters in Lyon (2014). Recent projects include the Dance and Music Conservatory in Noisy-Le-Sec, a Research Center within the Saint-Louis Hospital and a tower for housing and mixed-programme in Knokke-Heist in Belgium. Recently they won the International Architecture and Urbanism University in Mons (Belgium). Their work is held in different collections such as Centre Pompidou - France, Carnegie Melon, Victoria and Albert Museum – London, and Frac Centre –France. In 1988 he and Caroline Bos set up an architectural practice in Amsterdam, extending their theoretical and writing projects to the practice of architecture. UNStudio presents itself as a network of specialists in architecture, urban development and infrastructure. Current projects include the design for Doha's Integrated Metro Network in Qatar, ‘Four’ a large-scale mixed-use project in Frankfurt and the Wasl Tower in Dubai. 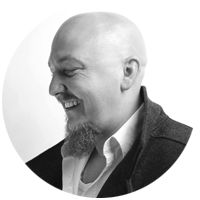 In 2018 Ben van Berkel founded UNSense, an Arch Tech company that designs and integrates human-centric tech solutions for the built environment. Ben van Berkel has lectured and taught at many architectural schools around the world. Currently he holds the Kenzo Tange Visiting Professor's Chair at Harvard University Graduate School of Design, where he has led a studio on health and architecture. In 2017, Ben van Berkel also gave a TEDx presentation about health and architecture. In addition, he is a member of the Taskforce Team / Advisory Board for the Dutch Construction Industry. He is also currently a member of the Taskforce Team / Advisory Board Construction Industry for the Dutch Ministry of Economic Affairs.